What is the missing piece of the Customer Experience puzzle? Is it customer service? Hardly, it seems that it is rather old-fashioned to say customer service when the speaker is talking about customer service. No, the in-term is customer experience. Is it marketing? No, whilst it has taken a back seat many authors do recognise the importance of marketing communications (brand, advertising, direct marketing….) on the customer experience. Is it the website? No, many of us get the need to design websites so that they are attractive, usable and useful and thus contribute to the Customer Experience. So what is the missing piece of the Customer Experience puzzle? Just imagine that you head to the hairdresser and everything is perfect: the name, the location, the ‘store’, the welcome that you receive, the pricing, the staff that serve you….Yet your hair does not turn out the way that you expected? What impact does that have on your entire Customer Experience? Turns it negative right? In this case the ‘product’ has failed to meet your expectations and that one failure has turned what had been a positive experience into a negative. The product is the missing piece. Nintendo turned around its fortunes and claimed the number 1 slot when it launched the Nintendo Wii. Dyson did the same thing for vacuum cleaners. And of course Apple with the ipod, the iphone and now the ipad. The product is the reason that the buyer searches you out and becomes a customer. If you have the right product then the customer will put up with all kinds of interaction hassles to buy that product of you – and come back to buy accessories. Why do I say that the product is the missing piece of the Customer Experience puzzle? Because it simply is not mentioned in Customer Experience speeches, articles and conversations. The assumption seems to be that Customer Experience = Interaction Assessment and Design. The need to pay attention to the product was brought home to me this week because two products failed to meet my expectations in a big way. Allow me to share those with you. 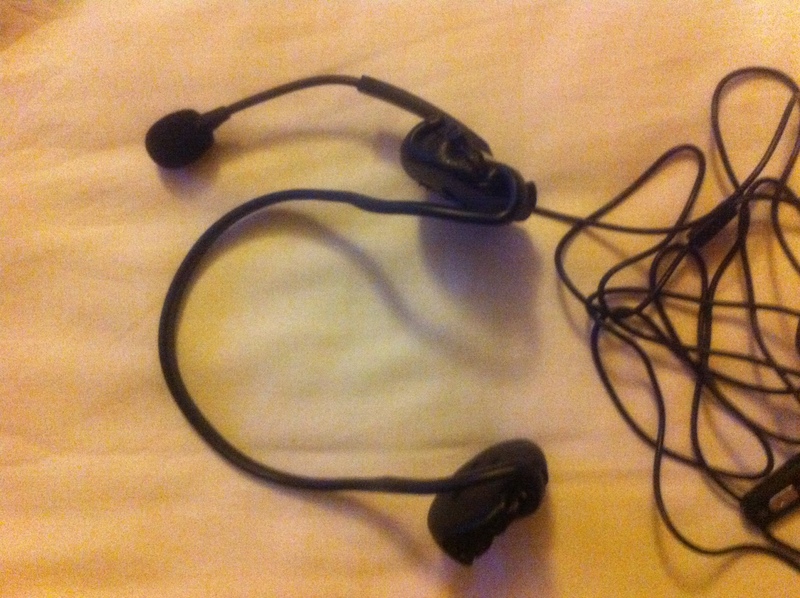 I needed a headset and was in a hurry to buy one so I did not do any research. Instead I popped into a store and picked the first one that looked like it would do the job at a reasonable price. The headset was well presented. And I was delighted that some thought had gone into the packaging – making it easy for me to open up the packaging without having to get a chainsaw to cut through the plastic packaging that is all too common for some electronic products. The surprise came when I put on the headset – it simply is not comfortable and does not fit around my head. After about ten minutes of using it I took the headset off because it pinched by head – I could feel it pressing into my skull. I would call that a major design flaw: a headset that cannot be worn because it is uncomfortable. Being scientifically trained I decided to see what other users had to say about the product. I found it on Amazon and sure enough there were people complaining about the fit/comfort about the headphone. Will I buy any other product from Creative? Unlikely. Twinings Earl Grey tea – new coke / classic coke? I am a tea drinker and the tea that I drink the most is Earl Grey and as my wife is the one that does the shopping she buys Twinings Earl Grey tea. I have got used to it and I like it. Except that now I don’t like it at all. Let me explain. Twinings have changed the Earl Grey formula – to my palate it simply does not taste the same. So I did some research and found that I am not the only one: “Twinings changes its Earl Grey tea formula and customers revolt”. Digging into it deeper it appears that Twinings have changed the formula for the UK but will stick with the “classic” formula for all export markets. And due to the customer reaction Twinings will allow customers to buy directly from them via their website. Here is the Twinings statement and customer comments on that statement – worth reading the customer comments to see how much the product matters. 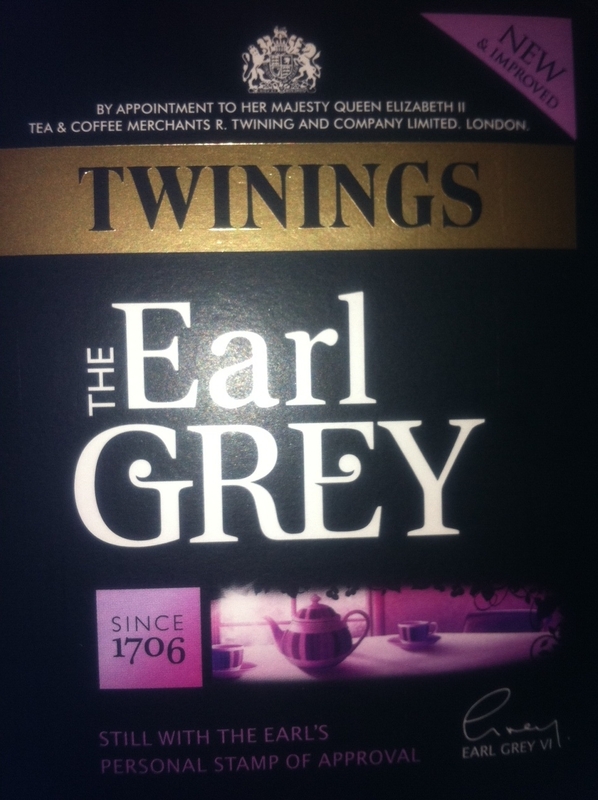 Personally, I have asked my wife not to buy Twinings Earl Grey anymore – I will give other brands a go. The product is the centre-piece of the customer experience in the sense that if you get this wrong then it does not matter what else you get right. You can add all the customer experience wrapping that you want but if the product is weak then you are fighting a losing battle because the flaws in the product noticed and shared with the world – like I am doing right now. I will never buy a Creative product again: if they can’t make a simple headset what can they make? If you have a winning product with a loyal customer base then think twice before changing that product. In the customer age ‘products’ belong as much to customers as they do to the companies that make them. Changing these products without involving the customer base (co-creation, new product development) is asking for trouble. Customers like to be in control and they do not like to have things taken away from them. I wonder how many letters, emails and calls Twinings is receiving from customers? Make sure that you think deeply about the ‘product’ and your customer’s experience around the product. There is no surer way to build an empire than to create a ‘must-have’ product and then promote this through the right marketing and advertising. Why is it that we miss the blindingly obvious and get caught up in our own little worlds? Thanks for that quote. I noted your question (Why is it that we miss the blindingly obvious and get caught up in our own little worlds?) with interest. My considered response is that in our culture that is the default mode. And because it is our default mode it is remarkably different to be other centric including customer-centric. Most companies are talking a good story, few are even close to being customer-centric. Customer Experience specialist Lou Carbone, in his lecture in http://tinyurl.com/3bwjlzr (tried to look for it in his book and failed), tells a story about his own experience when he was abroad, had a few hours before a meeting and had to have his hair cut. He goes into a barber shop, where he had a great experience, in terms of the service, the smell, the atmosphere, the uniforms, the attitude – all was perfect. He went out of the saloon with a great feeling, goes to the meeting – having a great meeting and on his way out he looks at his hair – it was crappy. So I am not sure I subscribe with your conclusion that the product is THE missing piece. It is part of the entire package. Sometimes a great service can compensate for a lousy dinner (“at least they did not charge us, and they compensated us very nice”), sometimes because you have good experience with this company you are willing to ignore flaws (do you really think all Apple products work well? no, they do not – but people enjoy everything around it so they forgive). Regarding the Earl Grey tea example – I think that it proves that what counts is not the product, but the way the company treats its product users (drinkers in this case) – and I consider it as part of the customer experience more than just the taste. Thank you again for another wonderful post. Thanks for taking the time to share your experience and your perspective. Lou Carbone, I get your point and I still wonder if Lou ever went back to the same hairdresser. If he found his hair to be crappy and then went back and stayed with the same hairdresser then I suspect that there is set of customers for whom the experience around the product is more important than the product. I, for one, do not fall in that category. As for the product itself and its relationship with other factors such as price I totally get your point. When I fly economy class I expect economy class experience including an economy class price. And if I fly first class then the same thing goes. Amazon comes up regularly as having great customer satisfaction adn so does John Lewis. If you take a closer look you find that Amazon competes on the value end whereas John Lewis competes on the luxury side. Yet, would you continue buying from Amazon (or John Lewis) if the product that reached your home simply did not do what you expected it to do? I suspect you might forgive Amazon if that happened once or twice but not if it happened consistently or too often. And I am in complete agreement with you when you say that we have to look at the total picture – the total customer experience. I wish you well and look forward to hearing from you again. Thanks for contributing. I felt I missed a part of the Lou’s story because I remembered he said he will go again, so I listened to this part of the talk again (0:24:40-0:30:20 – if you want to hear it yourslef). Regarding the price vs. service issue. I wondered about EasyJet and the rest of low-cost airlines. I consider the experience I get very important. As you know, possibly too sensitive – but even with the bad service you get from these airlines (and I did) – price plays a significant role. What can I say except that I am in complete agreement with you. From a Zen perspective: all statements about the world as simply a reflection of mind. And I am clear that all that I write is simply a reflection my mind. Which is the reason that I caution people to take a Zen stance to all that I write: do not assume that what I write is truth, think for yourself, try it out, experiment, experience, live it and then make up you mind! I wish you well my friend and thank you for your contribution to my life. Completely right. Reminds me of the saying and tale: ‘The Emperor’s New Clothes’. Great experience is all about aligning a companies People, Product, Policies, and Processes with an intentional customer focus. I find myself in agreement with you and yet not in agreement with you. The organisations that create great experiences for customers (employess, suppliers, partners) are the ones that have leaders with human values: leaders who care about people. Take SAS the most successful private software company. It is a great culture of treating its employess with respect, dignity etc. Why? Because the founder was adamant that he was not going to treat his employees the way that his employers had treated him. Or take Tony Hsieh of Zappos. When I read Delivering Happiness I get that making money is not the reason that exists or is in business. This man is a people person, he is human values, he cares. And he is inspired, motivated, uplifted by the purpose of being the best loved company in the world. What am I saying? Simply that a logical, intellectual, alignment between the factors you mention is not enough. You also need Heart. A heart as big as the Grand Canyon. Previous Previous post: Bad customer experience: power to the people? Next Next post: Brand values and the customer experience – a perfect match?